Spring formals are coming around the corner! I recently had my formal last weekend. But, there are still many formals to come. So, the big question is what should you wear for a fabulous formal night? Well, depending on your school you can go either more casual or very formal. At my school I would say it is in between more casual and formal. Most girls wore a fun cocktail dress and a great pair of heels. If your school is similar here are three looks that will be formal ready. 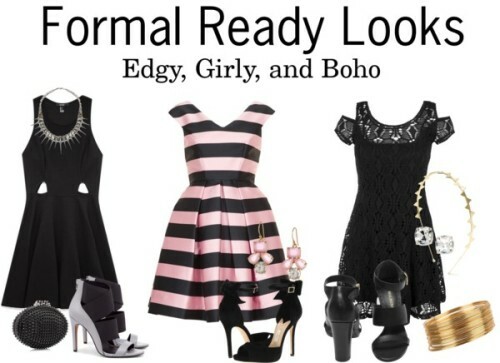 Edgy: Lets say your not the typical "sorority girl". Well, you can still rock studs and spikes at your formal. Wear a fun dress that has lots of cut outs. This will create a cool and unique look. Pair your dress with a bold and punk statement necklace for a different type of "glam". For shoes, pick something with a metallic and some straps. If you want to carry a clutch carry a fun spiked one. With all of these components you will for sure stand out at your formal. Girly: But, what if you are a super feminine girly girl? Well, formal will be a piece of cake! For a fun girly look stick with a fun silhouette. Something that hugs your waist tight will be super flattering. 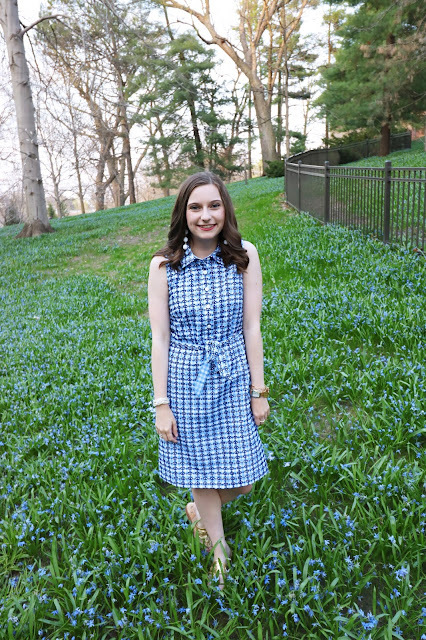 This dress also has a fun stripe pattern. But, if you want to keep things more simple find a solid color frock. For accessories find a cute pair of bold earrings that match your dress. Then for shoes wear a fun pair of pumps. These black ones have a fun bow accent that no girly girl could resist. Boho: If boho is more your scene try and find a fun lace number. This one has a unique sleeve cut out detail so it adds an extra special touch. For accessories find a fun rhinestone head band to wear across your head. Add a stack of bangles and stud earrings for extra sparkle. Then for shoes wear a strappy sandal with thicker straps.